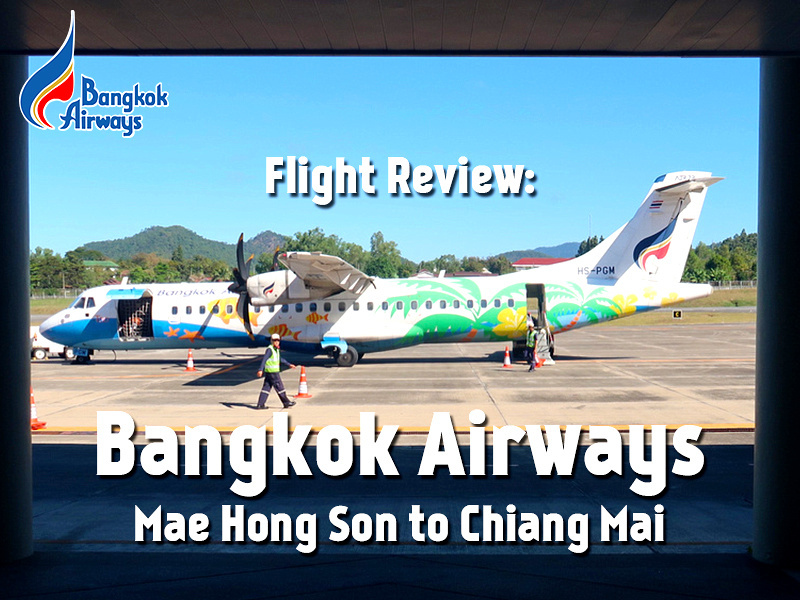 I flew with Bangkok Airways from Mae Hong Son to Chiang Mai. 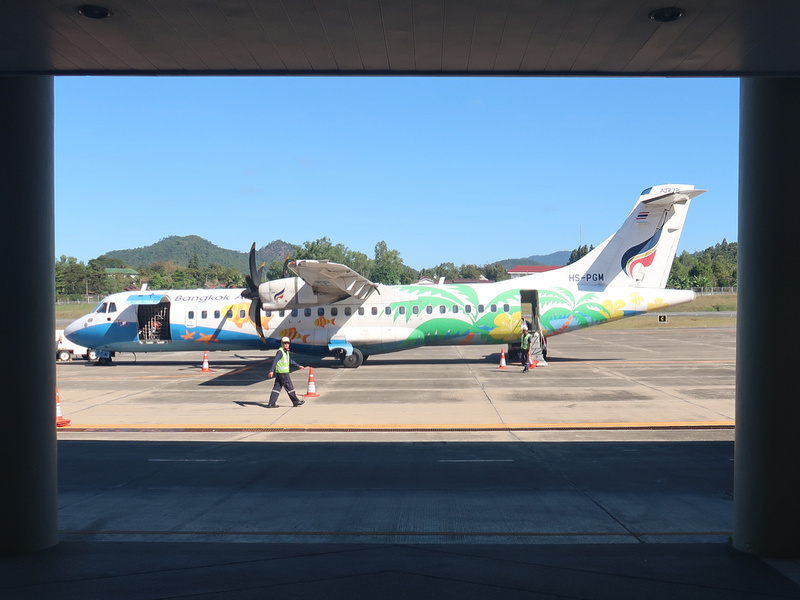 I was aware that there were flights from Mae Hong Son to Chiang Mai but I did a flight comparison with Skyscanner just to be sure. 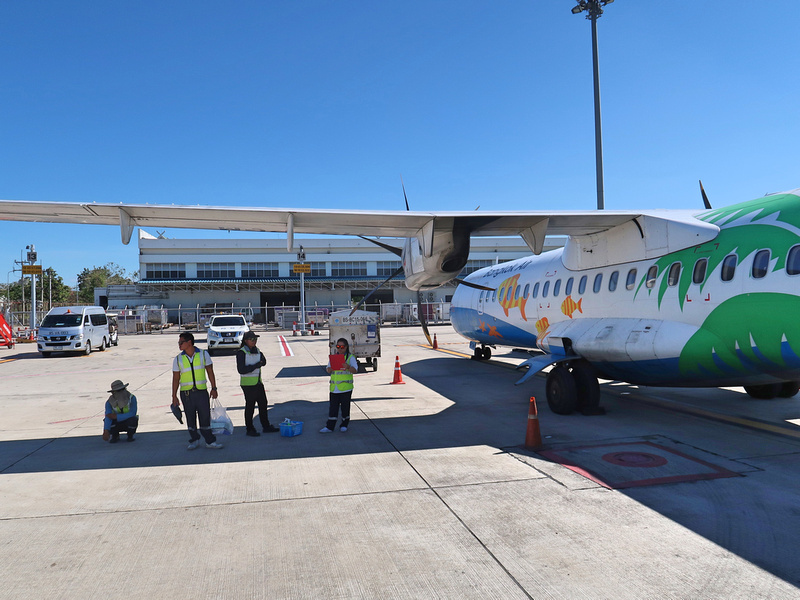 Bangkok Airways are a “boutique airline” with flights in Thailand and around Southeast East Asia. 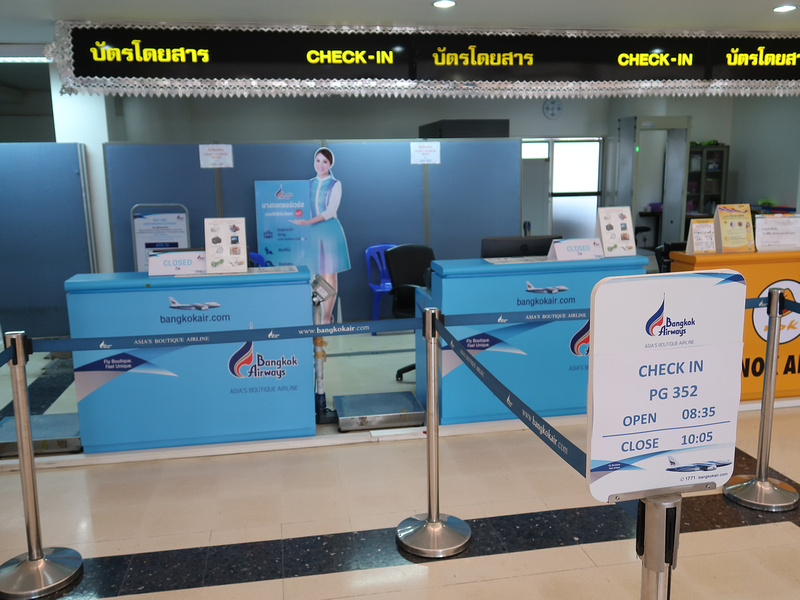 I’ve flown with Bangkok Airways before, including flights from Chiang Mai to Bangkok. They say boutique airline as they offer service that sets them apart from other airlines, such as a free lounge service for all passengers. 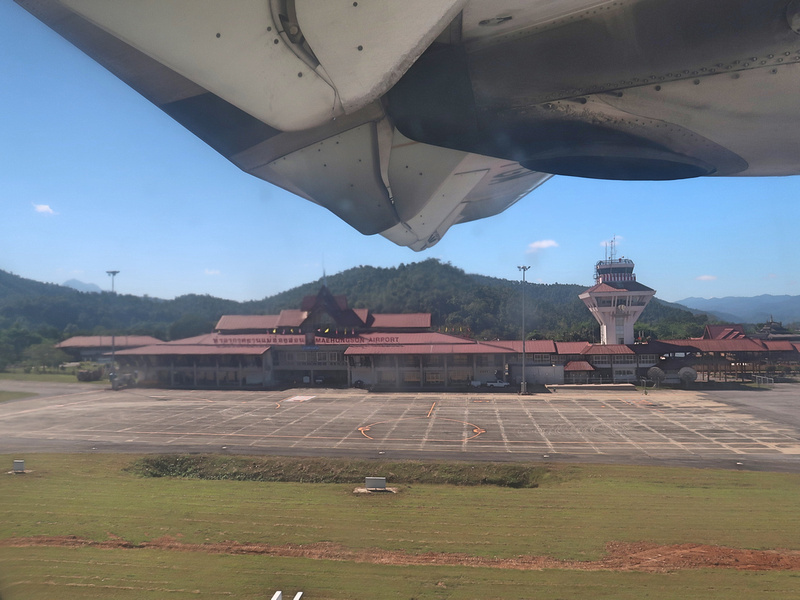 They own Samui Airport, which is an airport that looks like a resort. There are two flights a day to Chiang Mai, so I picked the morning flight. 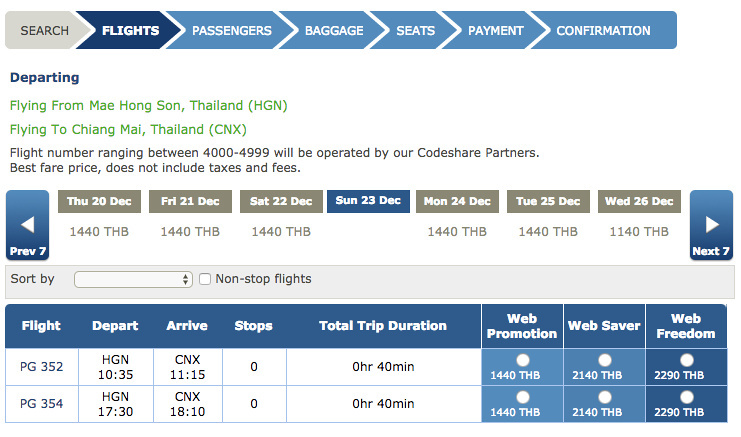 The fare was 1440 THB ($45.30 USD), so it was a good deal. 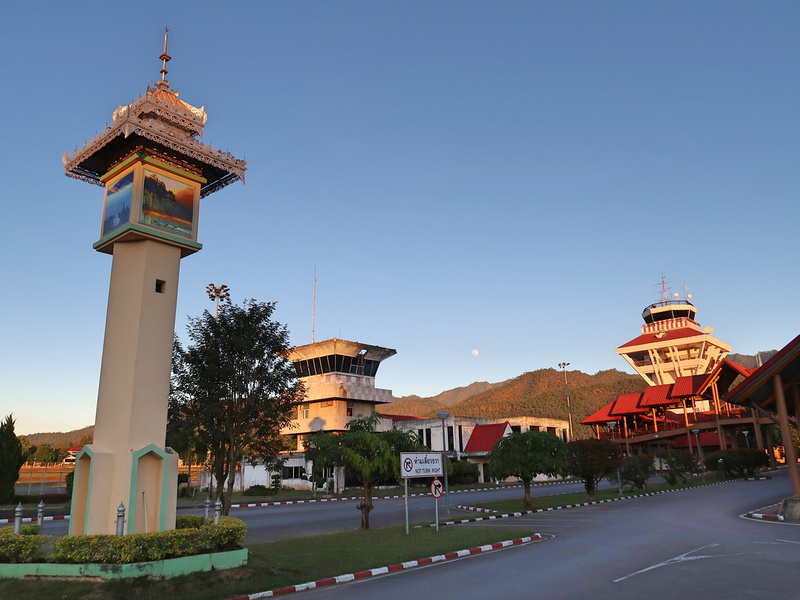 Mae Hong Son Airport is in the town centre. and it took me 10 minutes to walk here from my guesthouse. It’s a small airport so you aren’t going to be overwhelmed with a crowd when checking in. Be warned that there are no restaurants on the airside. As it’s a small airport Bangkok Airways don’t have a full lounge service here. 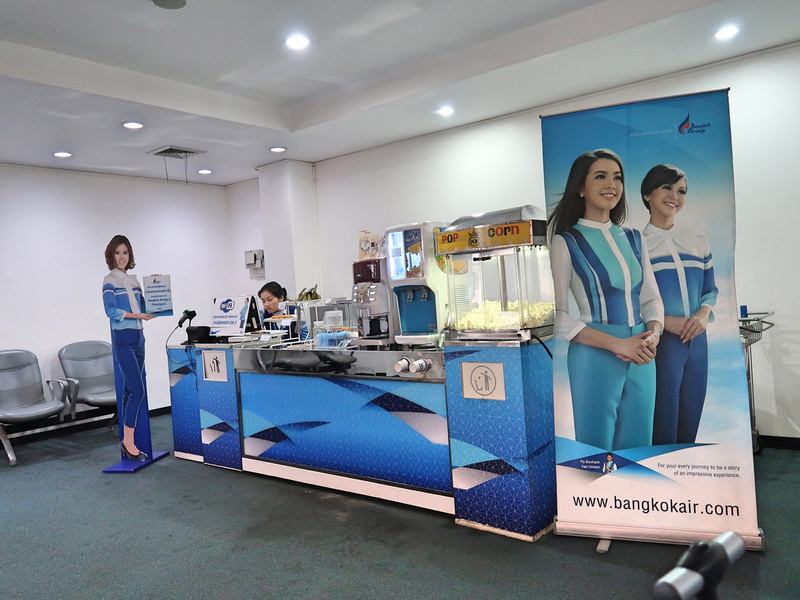 They do have a refreshments station, where Bangkok Airways ticket holders can get drinks and snacks. The flight is on an ATR 72 500/600, so I was pleased to be flying on a prop plane for a change. The flight departs at 10.35 and arrives at 11.15, making it a scheduled flying time of 40M. 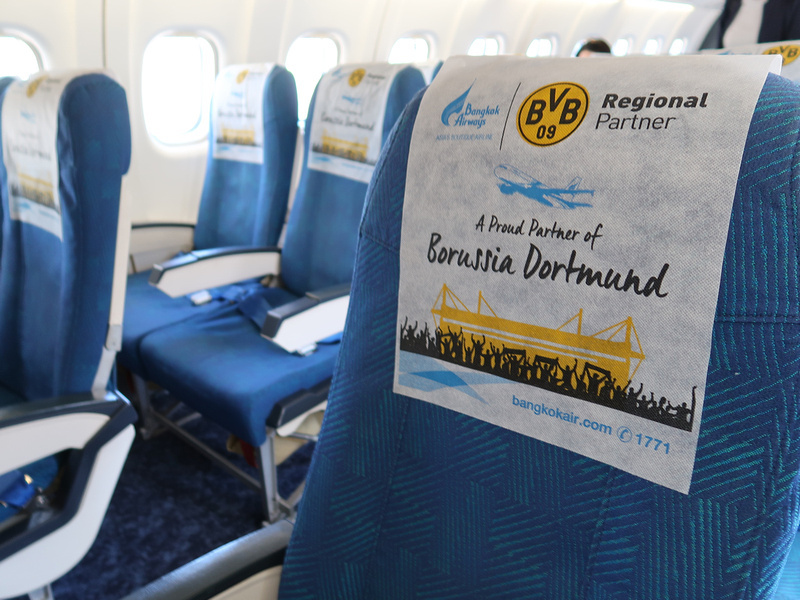 Todays flight had advertising for Borussia Dortmund, which must be a surprise to see if you are from Dortmund. This flight was only half full, so I had a window and aisle. Make sure you get a window seat for this flight, as the views are amazing. If you sit on the left side (A-seat) you will get a view of the town as you fly out. Flights can only fly in and out from the same end as there is a mountain at the other end of the runway. Here you can see the lake in the middle of the town, which I wrote about here. 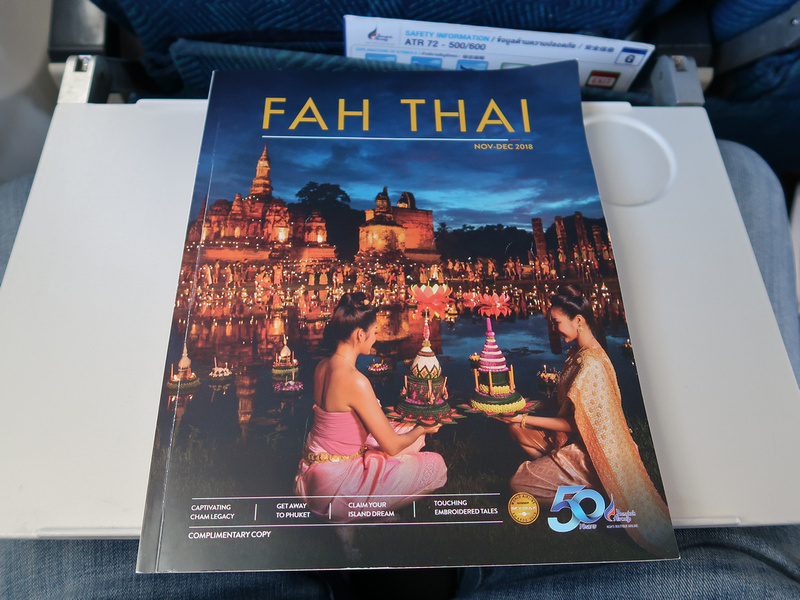 Fah Thai – the inflight magazine of Bangkok Airways. 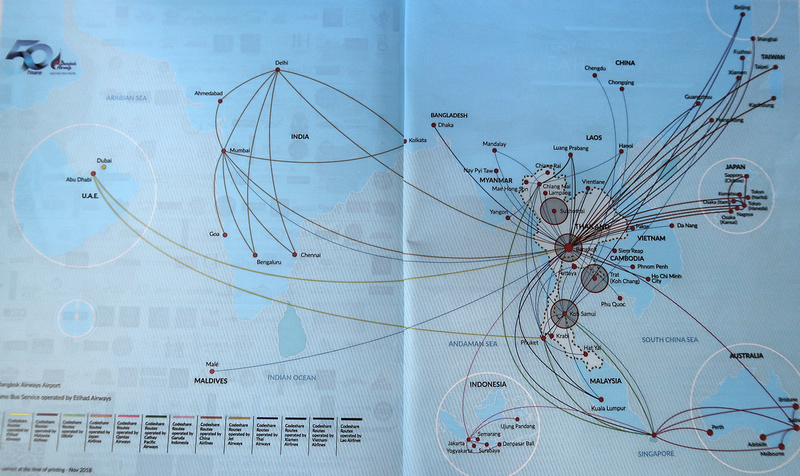 I like checking the route map to get travel ideas, though it’s a bit annoying when they put the routes of partner airlines on the same map. 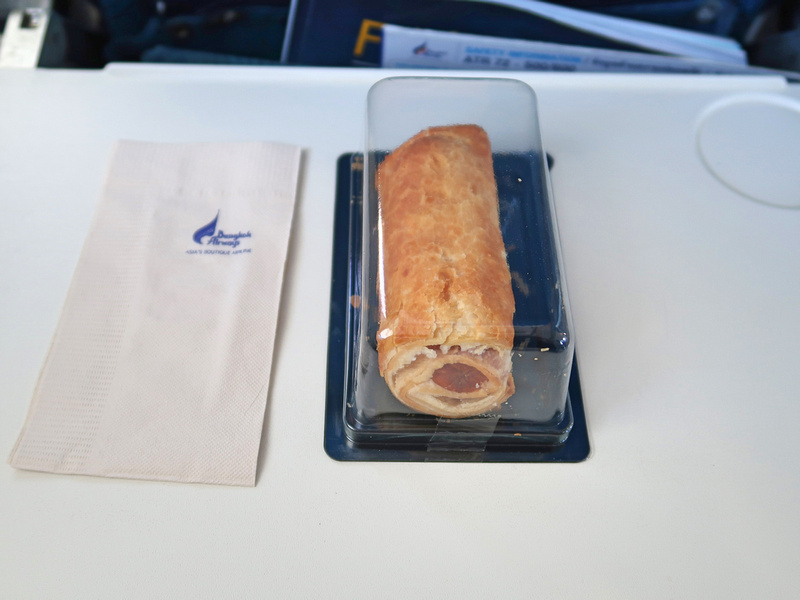 Free food is offered on Bangkok Airways, though for such a short flight a snack box is offered. For this flight a sausage roll pastry was the only choice. 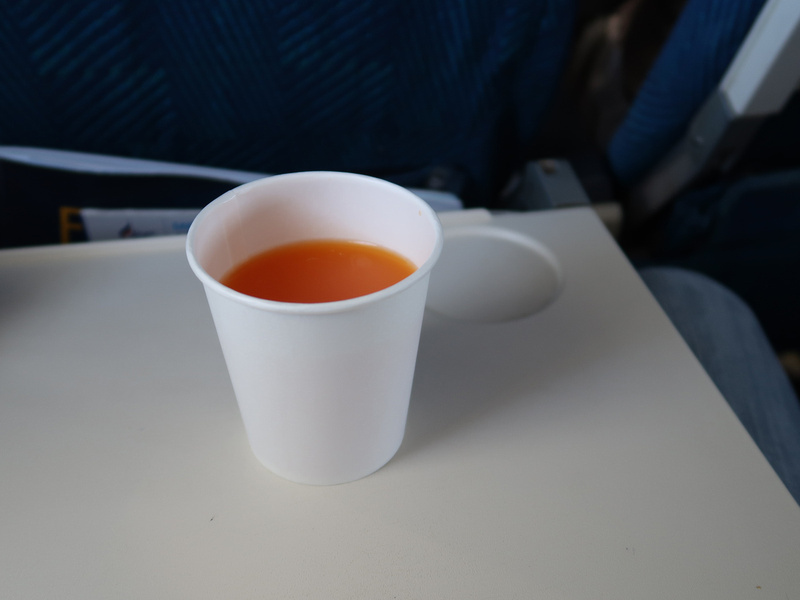 And I got an orange-coloured beverage. 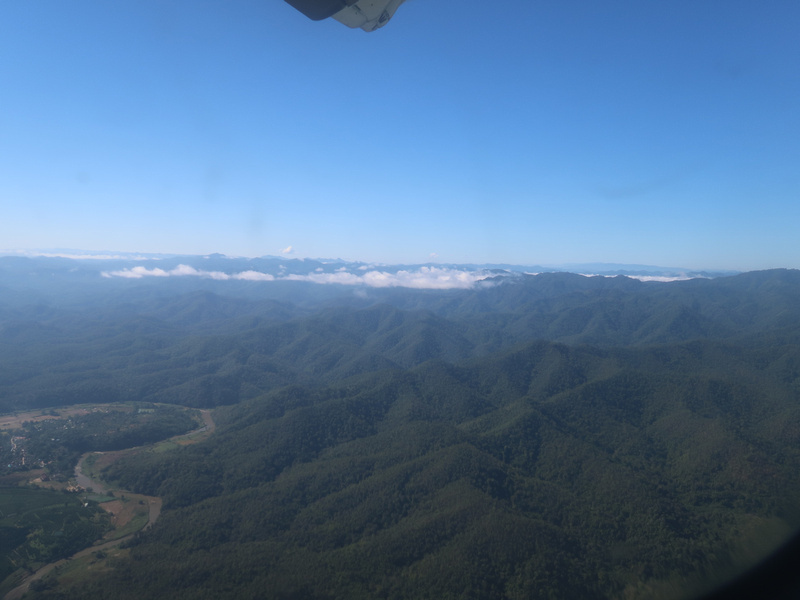 Like I said, get the window seat as the views of the mountains of Northern Thailand are stunning. Arrived in sunny Chiang Mai, which felt like a mega-city after being in the far northwest mountains of Thailand. 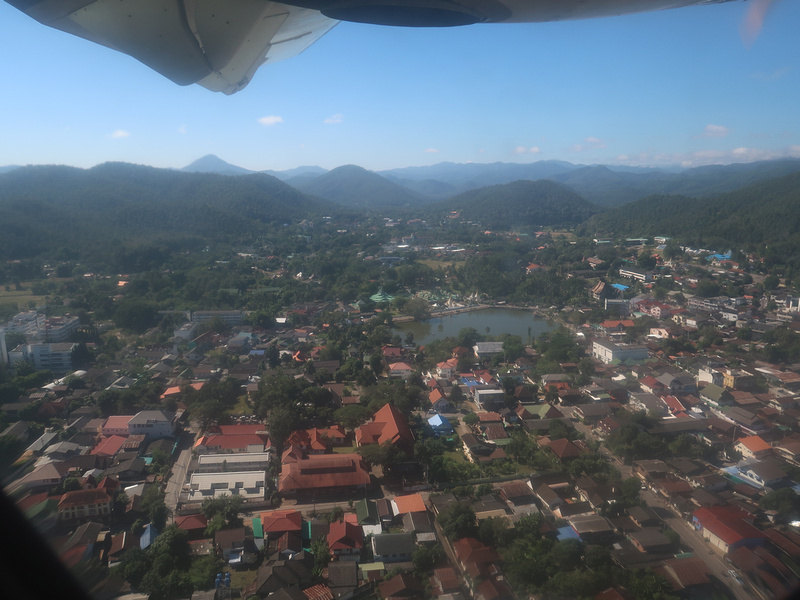 Overall this was a good flight option from Mae Hong Son. I also joined the Flyer Bonus frequent flyer program. I don’t fly them often so I probably won’t get any value out of it, but you never know.